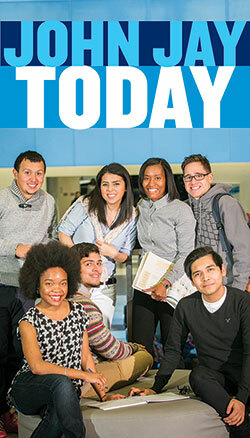 Set in the heart of New York City, John Jay occupies a newly expanded, state-of-the-art campus that provides a wealth of opportunities to cultivate student interests, leadership, civic engagement and cultural diversity. Laboratories and research facilities for forensic science, forensic psychology, emergency management and other disciplines add new and exciting enhancements to the overall educational experience. Over the past 50 years, the College has added a wide range of innovative and interdisciplinary liberal arts majors and professions, but the core mission of “educating for justice” remains inviolate and unchanged. Our students learn to challenge the status quo, cultivate their passion for solving social problems and become positive agents of change. Our alumni have long held leadership roles in public-sector agencies and private companies in the U.S. and worldwide. Now and always, we educate fierce advocates for justice. Take a Virtual Campus Tour or Schedule a Walk-in Tour.